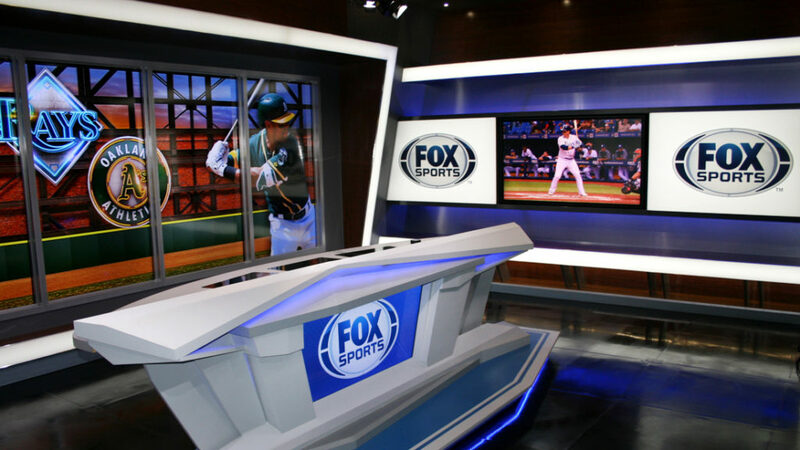 Fox Sports Florida and sister-network Fox Sports Sun have debuted a new set from JHD Group that blends clean lines with dramatic angles. The twin networks serve as the cable rights holders for the NBA’s Orlando Magic, NFL’s Florida Panthers and MLB’s Miami Marlins, producing a variety of gameday coverage along with wraparound programming. 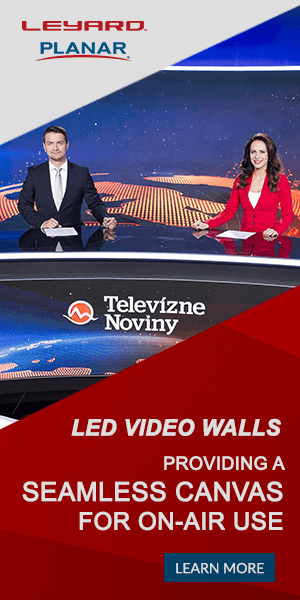 The new set, located at the network’s studio in Ft. Lauderdale, features a five-panel video wall behind the anchor desk that creates a digital “window” that can be used for displaying topical or branded graphics for a variety of programming. Surrounding this video wall is a bold internally lit frame that’s angled dramatically forward toward the cameras. 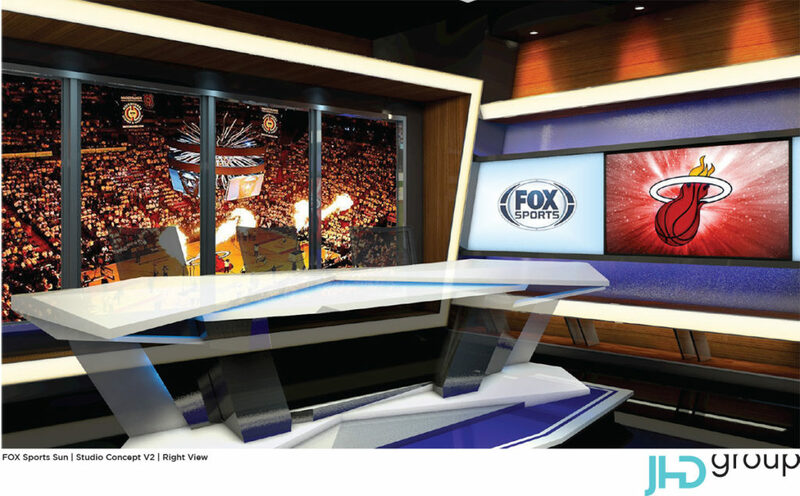 The angle concept continues in the white desk, which is created using a variety of angled segments, internal lighting and a video display, reminiscent of an iceberg or, perhaps, the Fox Sports robot mascot, Cleatus. The result is a formidable shape that has begun to appear on various Fox Sports affiliates and at the last Super Bowl, replacing the previous curved desk design of the group. Meanwhile, two side walls jut out into the studio, featuring network branding and additional video areas, providing backgrounds for standups and analysis. Conceptual rendering of studio design. Courtesy of JHD Group. 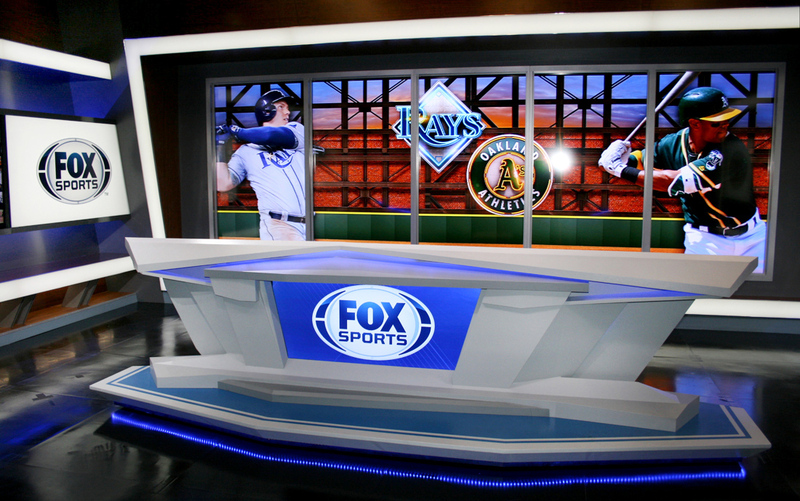 Later this year, Fox Sports Florida and Sun will begin using an interview riser and touchscreen display to further enhance coverage.